Automatic enrolment is the biggest change to pensions in decades But, with so many people talking about it, it can be difficult to know what is and isn’t true. People are living longer, with healthier lifestyles; as a result, the ratio between the workforce and those at pensionable age is decreasing. People are also planning and saving less for their retirement. The government estimates that around seven million people are not saving enough to give them the retirement income they want or expect. The current state pension cannot sustain this change, so as a result, workers are being encouraged to save for their retirement through workplace pension schemes. The Pensions Act 2008 established new duties on employers aimed at tackling these issues and the changes began to be rolled out to businesses in October 2012. Automatic enrolment means every worker in the UK will be forced to save into a workplace pension, without being given a choice. 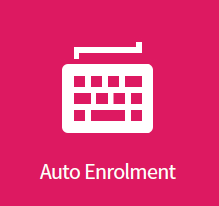 There are certain criteria which workers must meet to be eligible for automatic enrolment. Any pension scheme can be used for automatic enrolment. If I have a pension scheme in place this will be suitable. Pension schemes can be used for automatic enrolment only if they meet certain criteria which have been set out by The Pension Regulator. The scheme must reach certain quality standards so that employees get the most from their contributions. • Earning above the minimum earning threshold If a worker meets all three of these criteria, he or she is classed as an ‘eligible jobholder’ and will be automatically enrolled into a workplace pension scheme.